After last week’s The League of Assassins, it would be very hard to top what has been one of the, if not the best episodes of the season so far no matter the really strong form that Arrow’s been on at the moment and ultimately, whilst not being a bad episode per say, Keep Your Enemies Closer doesn’t quite match the episodes that we’ve had before in Season 2 – even if it delivers some interesting scenes that take us on an unusual getaway from Starling City – to none other than Russia itself, with Team Arrow heading into an extraction mission with Isabel Rochev in tow – still annoyed about the lack of dedication that Ollie’s putting into Queen Consolidated. It was nice to see Isabel get closer to Oliver as we began to add further depth to her character – and Glau shines as Isabel in a role that she’s not normally familiar with acting. It’s got to the point where I wouldn’t mind if Isabel joined Team Arrow along with Felicity and Diggle – but given her character’s dark history in the comics it looks like things are going to get particularly interesting indeed. I liked the way how Deadshot was handled in this episode. 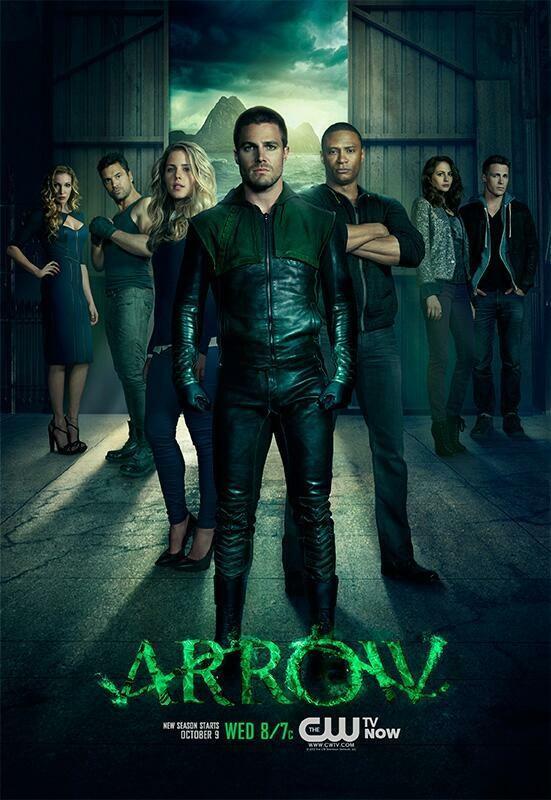 Whilst we may not get a big showdown between the character and Diggle as some expected, the team-up by the two to escape from “The Nightmare” Prison was a fairly strong action sequence that was pulled off pretty well and I loved the name-drop of the organisation “H.I.V.E” at the end – proving once more just how great Arrow is at establishing a greater shared universe, and not only The Flash and (newly confirmed) Nightwing to look forward to in future episodes of Arrow – it’s soon becoming apparent that the show’s quickly becoming the launching point for all the wider things in the DC Universe. And talking of wider things going on in Arrow I can’t really not talk about the introduction of yet another Series 2 newcomer, Amanda Waller. And yes, it really is Amanda Waller – Director of A.R.G.U.S, basically – the female Nick Fury. However – we’re not really given that much time with Waller in this episode, and as a result – her character suffers, not being anywhere near as formidable and intimidating as one would expect from the character if you’re familiar with her comic book history. However – Cynthia Addai-Robinson isn’t given enough screen time to do her character justice and I hope that she crops up sooner rather than later so her character can be fleshed out more. If that was one of the weaker spots of the episode, then the Felicity/Isabel/Ollie love triangle was another. Now that Laurel’s out of the picture for the moment with Ollie’s love life – the CW, being the CW – has chosen to interjected another romance angle in order to spice things up. It wasn’t needed in my opinion though, feeling forced. What was good about this episode though was it put Diggle in the spotlight for the first time this season, and his character – in my opinion at least, is one of the best on the show (so glad that he recently showed up in the ongoing Green Arrow comic series as well) so I was able to quickly get behind the character and enjoy how his storyline in the episode unfolded. Another entertaining factor, as per usual – was the flashback sequences. It was nice to see more of Slade and Shado, the first time that we’ve seen them in a while, and we could be starting to see Slade’s descent into the darker path that will eventually turn him into Deathstroke. For now though we’re going to have to make do with the small snippets of what we’ve got, and hope that like last season’s The Odyssey, the writers will throw a flashback-heavy episode at us sooner rather than later – especially as The Odyssey was one of the best episodes of last season, ranking high up there with Dead to Rights and Sacrifice. I can’t wait to see where they take these flashback sequences in particular from now on though – they are really some of the best parts of the show. Overall then, Keep Your Enemies Closer was another pretty solid episode, even if it wasn’t anywhere near as great as The League of Assassins – I still enjoyed it and it’s recommended viewing. We inch closer to Barry Allen’s introduction though – and I can’t wait for next week’s episode number 7, interestingly titled State vs. Queen – so we’ll see how that turns out for sure – with Felicity kidnapped and the return of the Count, things could get very tense indeed.